Whether you live in a cold weather state or find yourself traveling to one, consider a massage regimen before and after you get back. 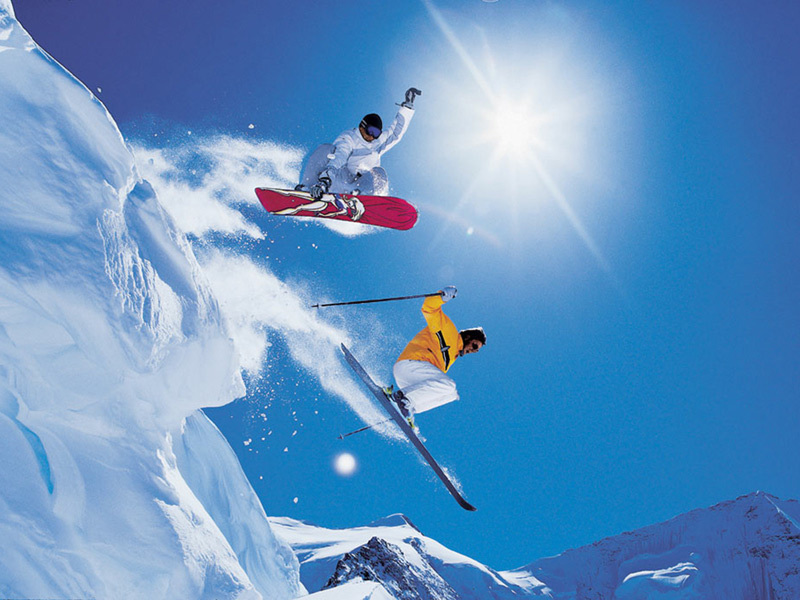 Winter sports, such as skiing, cross country skiing, snowboarding, and more, can greatly benefit from massage therapy. Similar to overall sports massages, massage therapy can improve performance, relax muscles, relieve soreness, and more. Keep reading to figure out just how much massage therapy helps with those winter adventures! If you are someone who takes part in winter sports, whether it be for fun or for competition purposes, sports massages are something you will want. Skiing, snowboarding, and other winter sports use muscles in a different way that your body probably isn't use to. This can lead to more soreness, muscle pain, and tightness. Most people who participate in winter sports are only training for them, well, in winter. So your muscles are experiencing a new challenge they haven't faced in several moths. Prolonged soreness, tension, and muscle tightness is definitely seen in non-competitive athletes, but can also be something intense winter athletes experience. This where sports massages become crucial. Sports massages are not just for regular, competitive athletes. They are just titled that because they address problems caused by sports or physical activity. Everyone can benefit from sports massages, even if you just went skiing for one weekend throughout the entire winter. Your muscles will need the care and attention athletes muscles do as well. Additionally, sports massage are easily adaptable by the patient, their activity level, and the sport they performed. A trained sports massage therapist will address your muscles’ needs and applies certain techniques according to your body and sport. Whether you’re sore and need a full body rub down, have sore arms from cross country skiing, or need your muscles to be loosened, sports massage is the way to go. Seeking sports massage therapy is perfect for before and after your winter sport. Preparing your muscles for what they are about to endure is a great way to keep tension and muscle tightness low and it can even improve your overall performance. Then, post ski or snowboarding weekend, addressing the muscles is a great way to keep your body healthy and moving. These are benefits for competitive athletes as well as the people who go skiing once a year or recreationally. If you go skiing or snow boarding very few times, it is even more crucial to rub down your muscles and prepare them for the physical activity they will endure. It will certainly help prevent injury, reduce post activity soreness, and promote recovery. No matter what sport you practice and what level you practice it at, pre and post massages are highly beneficial and almost crucial in many cases. As previously mentioned, for those who have had past injuries, breaking down the scar tissue and getting a massage before and after your trip will help decrease the pain and prevent future injury. Similarly, if you haven't participated in a winter sport in a very long time, kneading those muscles and relieving tension can help improve performance and prevent injury and high levels of soreness afterwards. And obviously, post-activity massages are perfect for sore muscles, injury, and promoting recovery. Need more convincing? Check out a previous Elements Massage post about the benefits of massage for winter sports and visit our website and read about sports massage therapy!